I’m passionate about all things paper and unsurprisingly, so is my daughter. I’d expect to be awarded most awesome mum ever if I were to let her loose in this shop filled with perfect paper play scenes. Neskita is a fantastic source of crafty cleverness. 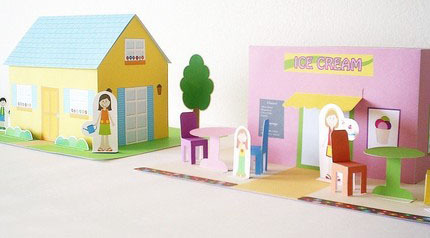 Play scenes in PDF style are aplenty – there’s a farm, paper dolls by the name of Charlie and Celia, Papertown School and Gas Station, just to name a few, and I love the pastel Kitchen Set. The beauty of PDF file printable products such as these is that it’s instant, there’s no stalking your poor postman waiting for them to arrive. Simply choose your play scene, pay for it, wait for your email delivery and print it off! Each set is designed to be cut out and glued or taped together and includes easy to follow instructions. If your child’s play scene falls victim to being squashed, it can easily be recycled and another printed so the fun can continue! 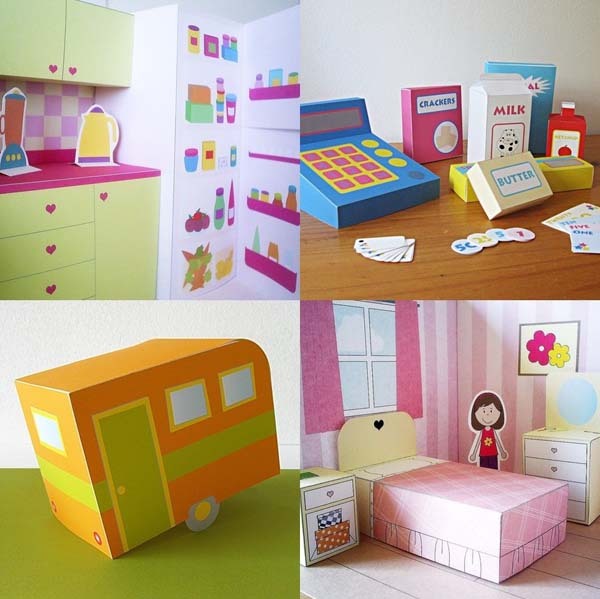 Find your perfect paper play scene at Neskita from US$7.